In his fourth-grade halloween celebration in elementary school in Newton, Mass., Josh King came to class dressed as Patrick Henry. “‘Give me liberty or give me death!’ was more memorable than ‘trick or treat’,” he said. Josh graduated from Swarthmore College in 1987 and moved to Washington, D.C. to work on the presidential campaign of the late U.S. Senator Paul Simon. He became director of scheduling and advance for Simon’s New Hampshire primary campaign because, he says, “as a New England kid, I knew the difference between Interstate 89, which led to Dartmouth, and Interstate 93, which led to Dixville Notch.” When Simon’s campaign folded, Josh joined the the Dukakis/Bentsen campaign and advanced his first political events west of the Connecticut River. He was not responsible for “Dukakis in the tank,” but he did chronicle the debacle in a 2013 article in POLITICO magazine. 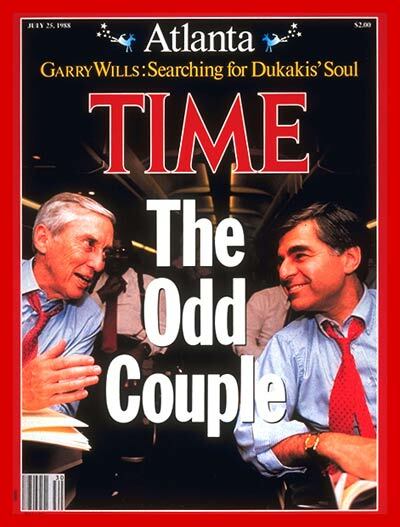 After Dukakis’s defeat at the hands of George H.W. Bush, Josh moved to the Caribbean, marketing the then-nascent technology of cellular phones in Tortola, British Virgin Islands. He worked for a startup called Boatphone, which was spreading throughout the Eastern Caribbean. When Hurricane Hugo hit the island in September, 1989, he used one of the few operating phones in the BVI to give CBS Radio a first-person account of the havoc wrought by the storm. Recounting the images of uprooted palm trees blowing across crumbling roads in nearly 150-mph gusts, a CBS producer told him he didn’t have to worry about being compared to Dan Rather. Josh returned to political stagecraft in 1991, working on the presidential campagin of Sen. Bob Kerrey then joining Governor Bill Clinton’s campaign in 1992. It was working across the U.S. in the summer and fall during Clinton’s campaign against President Bush and H. Ross Perot that tagged Josh as a big event guy with an eye for the visual. When Clinton became the 42nd President of the United States, Josh served in the White House as one of the president’s schedulers before being appointed director of production for presidential events in 1993. His unofficial tally of places visited during the Clinton Years: 48 states (sorry, Mississippi and Nebraska) and 40 countries around the world. 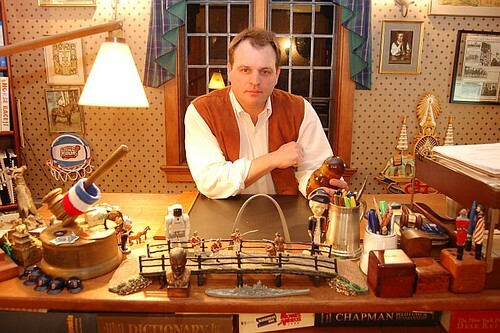 Josh left the White House in late 1997 to produce a pilot for Lifetime Television called “WEST WING” that he created with writing partner Robert Wells. The pilot was shot in Toronto in 1998 starring Annbeth Gish as a Deputy White House Press Secretary and Marcia Cross as her network correspondent nemesis. Screened only by network suits, focus group participants and a few proud parents, the episode never aired, losing a testing bakeoff to “ANY DAY NOW,” which starred Annie Potts and Lorraine Toussant and enjoyed an 88-episode run on Lifetime from 1998 to 2002. When Aaron Sorkin’s masterful “THE WEST WING” debuted on NBC in the 1999 fall season, Lifetime’s attempted entry into Washington-based television drama quickly became a forgotten footnote. A single writing credit on NBC’s “AMERICAN DREAMS” is the lone vestige of a short-lived Hollywood career. Josh’s writing on political stagecraft has appeared in POLITICO magazine, Men’s Vogue, Variety, the Washington Post and Brill’s Content. He has appeared on the BBC, CNN, Fox News Channel, MSNBC, CNBC, National Public Radio and XM Sirius Satellite Radio. He outlined the Polioptics lecture in the summer of 2009 and continues to offer it occasionally as a hobby. Josh’s book, a survey of what he calls “The Age of Optics” called Off Script: An Advance Man’s Guide to White House Stagecraft, Campaign Spectacle and Political Suicide, is set to be published by St. Martin’s Press in April, 2016. Josh is a public relations executive in New York City where he lives with his wife, two kids and a Rhodesian Ridgeback named Huckleberry.